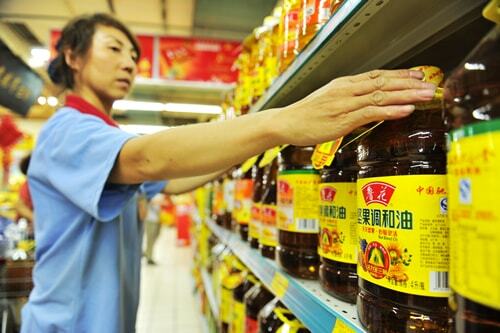 “Ukroliyaprom” informs that over the last year the volume of Ukrainian sunflower oil delivered to China has increased. Stepan Kapshuk, general director of “Ukroliyaprom”, noted that in addition to the usual countries of sale, domestic products are becoming increasingly popular in far-abroad countries, mainly in East Asia. The buyers of domestic products are more than 90 countries. Now China is in the top five. Sunflower oil is an important segment of the Ukrainian economy. 55% of the world’s export of oil and fat products belongs to our country. Stepan Kapshuk accentuates attention to the fact that sunflower is the most profitable type of crop. The businessman believes that farmers will increase the amount of sunflower produced by improving the quality of seeds, rather than expanding the area of ​​crops. Since 1999, when the current duty on the sale of sunflower came into force, this culture took the place most profitable in the market. The volume of harvests increased more than 3-fold, from 2.5 million tons to 8.6. The production of sunflower has grown from 510 thousand tons to 3.8 million tons, that is more than 7 times. This year, more than 4,000,000 hectares have been sown with sunflower seeds, which promises huge yields.